﻿ Helios Motel, Sokcho-si - SAVE ON AGODA! Have a question for Helios Motel? Whether you're a tourist or traveling on business, Helios Motel is a great choice for accommodation when visiting Sokcho-si. From here, guests can enjoy easy access to all that the lively city has to offer. With its convenient location, the hotel offers easy access to the city's must-see destinations. 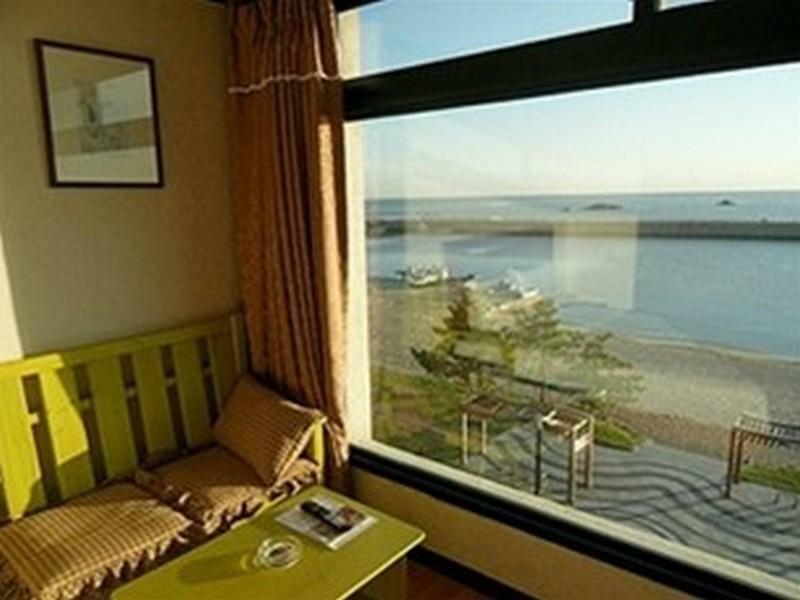 Helios Motel also offers many facilities to enrich your stay in Sokcho-si. The hotel provides 24-hour room service, free Wi-Fi in all rooms, 24-hour front desk, facilities for disabled guests, express check-in/check-out to ensure our guests the greatest comfort. Hotel accommodations have been carefully appointed to the highest degree of comfort and convenience. In some of the rooms, guests can find television LCD/plasma screen, internet access – wireless, internet access – wireless (complimentary), air conditioning, heating. Besides, the hotel's host of recreational offerings ensures you have plenty to do during your stay. When you are looking for comfortable and convenient accommodations in Sokcho-si, make Helios Motel your home away from home. Initially we booked a Mountain View room (Ocean View rooms were fully booked) but when we checked in, we asked if we could get Ocean View room instead. The staff called the owner and told us that we need to pay additional 30,000 won for 3 nites to switch to Ocean view room. I agree to pay. The view from our room is absolutely fabulous. It is Overlooking the ocean/port. The only downside is the bed is quite hard and they only provide small towels for shower. Maybe they have bigger towel but we never asked since I brought one. The owner is an old couple who can speak English. There 1 café on the first floor. No wifi in the room but there is 1 laptop at the internet lounge. There are a lot of seafood restaurants next to the hotel. We went to sokcho over the holiday weekend. We really enjoyed the location of helios for the price. It was also easy to find. We would stay at helios again. It was clean and the location was good for both the beaches and restaurants.